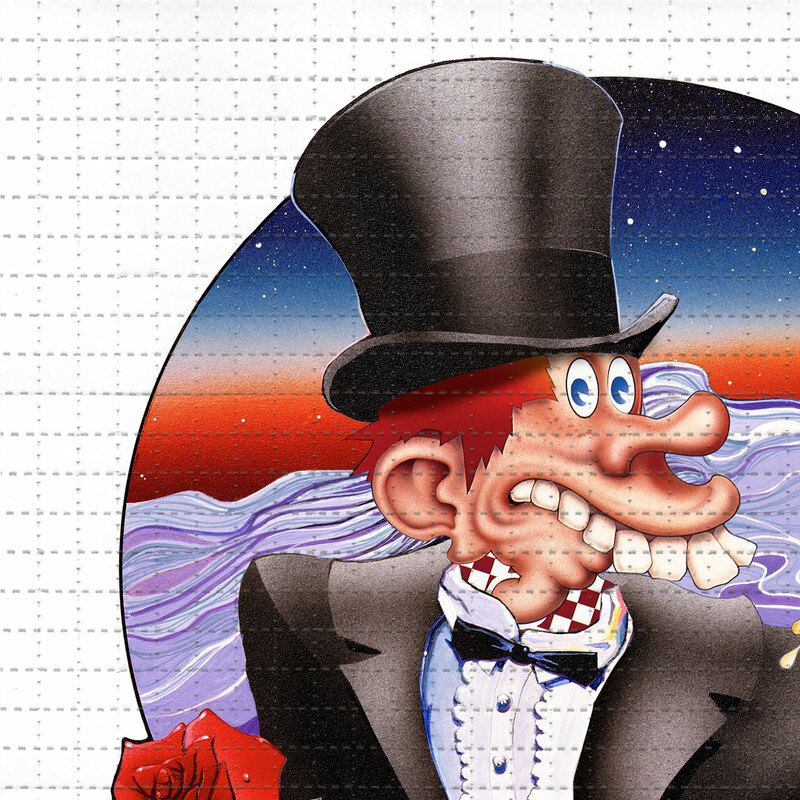 We are excited to welcome in legendary artist Stanley "Mouse" Miller as part of the Bicycle Day Print Suite. 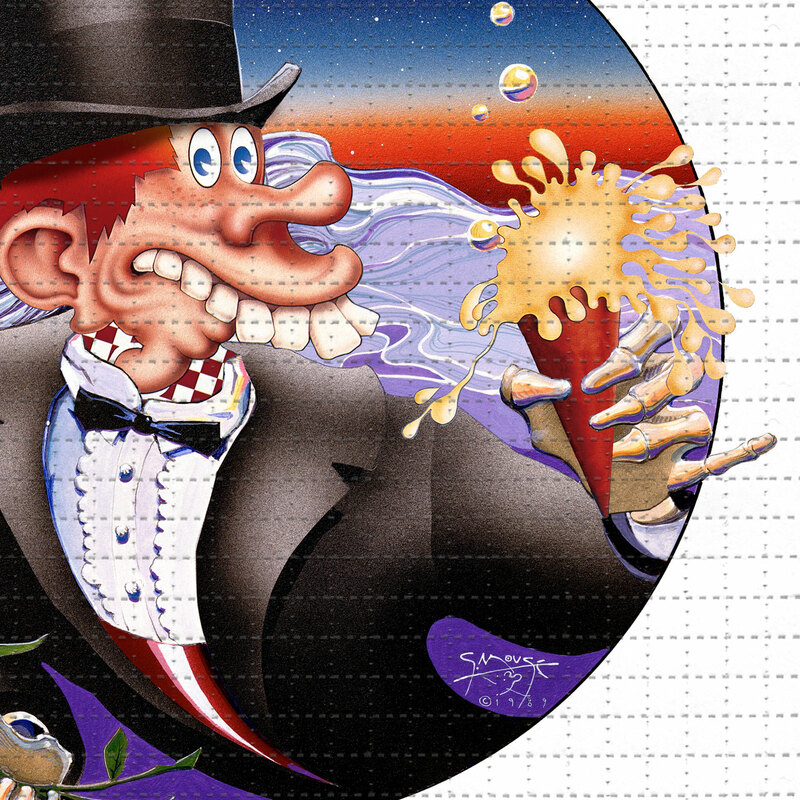 This year Mouse brings us One More Saturday Night Kid, a blend of two of his most iconic images. Born in California but raised in Detroit, Mouse would begin his art career airbrushing eye popping hot rod art at car shows. Like many looking to explore in the 60s, it wasn't long before Mouse picked up and left for San Francisco. It was there where he would meet his partner in crime Alton Kelley. Forming the Family Dog, the two would essentially create and revolutionize the modern gig poster, while helping to create the visual identity for the Summer of Love. Read on as Stanley Mouse gives us the story behind his Saturday Night and Ice Cream Kid images and the newly created blotter edition created exclusively for 1xRUN. . . This RUN is signed, numbered and comes with a Certificate of Authenticity from Stanley Mouse and 1xRUN. 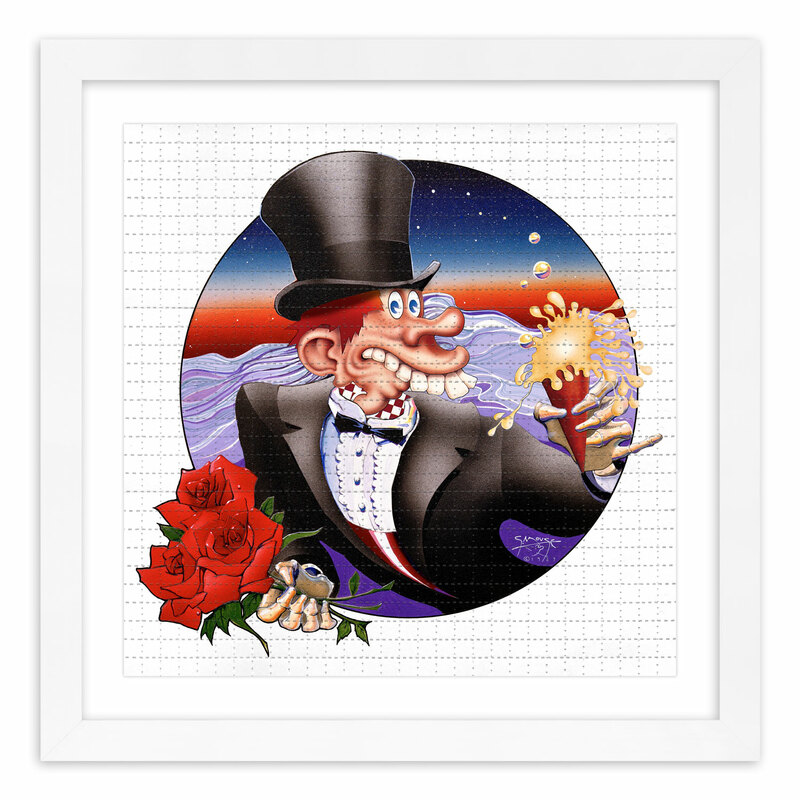 "Every New Year's Eve, the Grateful Dead would do a show and I would do some kind of image with a skeleton with a glass of champagne. We did some t-shirts and stuff, but this image was the culmination of all of those New Year's Eve images. Stanley Mouse was born in California on October 10, 1940. His father was an animator with Disney Studios who worked on Snow White. Stanley grew up in Detroit where Motown music and the city’s obsession with motor cars combined with his genius at drawing and made Stanleys life path clear at an early age. Quiet and always drawing in class, Stanley earned his pen name, Mouse in the seventh grade. He’d become known for his sketches of monster-driven muscle cars and as soon as he began signing with his pen name, he became instantly famous at thirteen. Stanley found a niche in the Detroit hot rod culture by detailing extraordinary paint jobs on vehicles until no quality hot rod in town could be seen without a Mouse pin-striping job. Soon after, he began applying his favorite subjects to T-shirts with an airbrush. In the tenth grade, Stanley did some graffiti on the high school hang out and was expelled from high school, the silver lining being that he then enrolled in art school. Stanley received his formal training at Detroit’s School for the Society of Arts and Crafts which was connected to the Detroit art museum. He dropped out to follow a higher calling to do rock posters in San Francisco during the sixties wartime era of social revolution, political passion and musical innovation. History was made when Stanley met Alton Kelley – they collaborated for over 15 years and changed the course of advertising art forever. 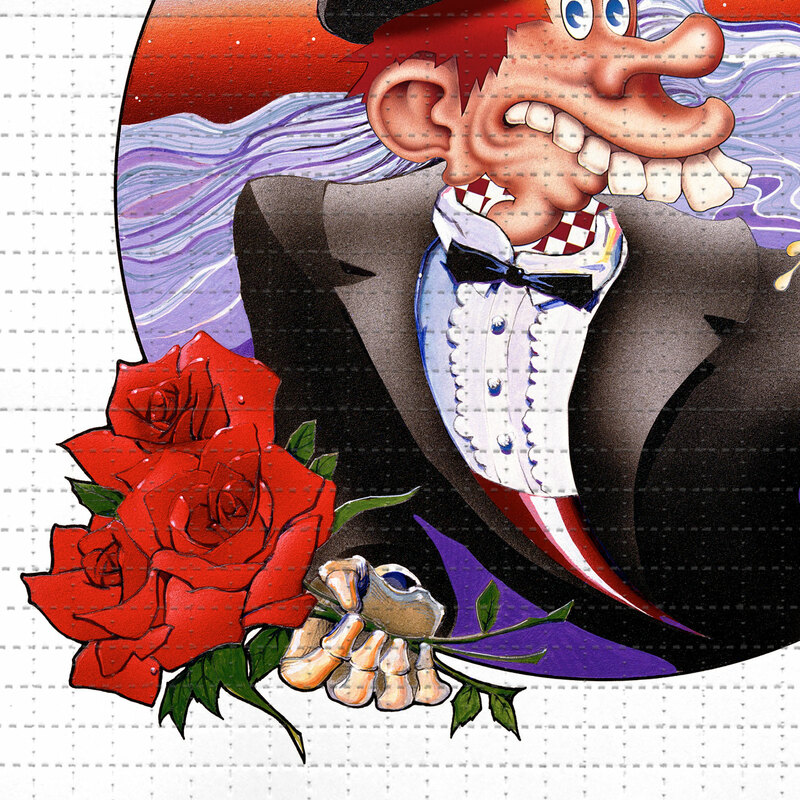 Two of their most famous images, one featuring ZigZag cigarette rolling papers and another, the Grateful Dead skeleton and roses motif, became symbols of a generation. Kelley and Mouse were innovators of the most important art movement of the latter part of the twentieth century. They captured the passion and excitement of the times with their distinctive styles. In 1970 Stanley returned to Detroit and was given a one man show at the Detroit Institute of Art. In the late sixties Stanley moved from San Francisco to London to flame Eric Claptons Rolls Royce. From there he did art for Blind Faith and the Beatles and returned to America to work on the signage at Woodstock with Kelley. Kelley and Mouse were working on a Jimi Hendrix cover but Jimi died before it was released. That art morphed into several covers for Journey, including Infinity, Escape and Captured. Stanley designed with Art Nouveau elegance and American pop-art sensibilities. He produced posters for the Fillmore Auditorium and the Avalon Ballroom. The art promoting the San Francisco scene became instant collectibles and went far beyond the local scene to reach museums worldwide. 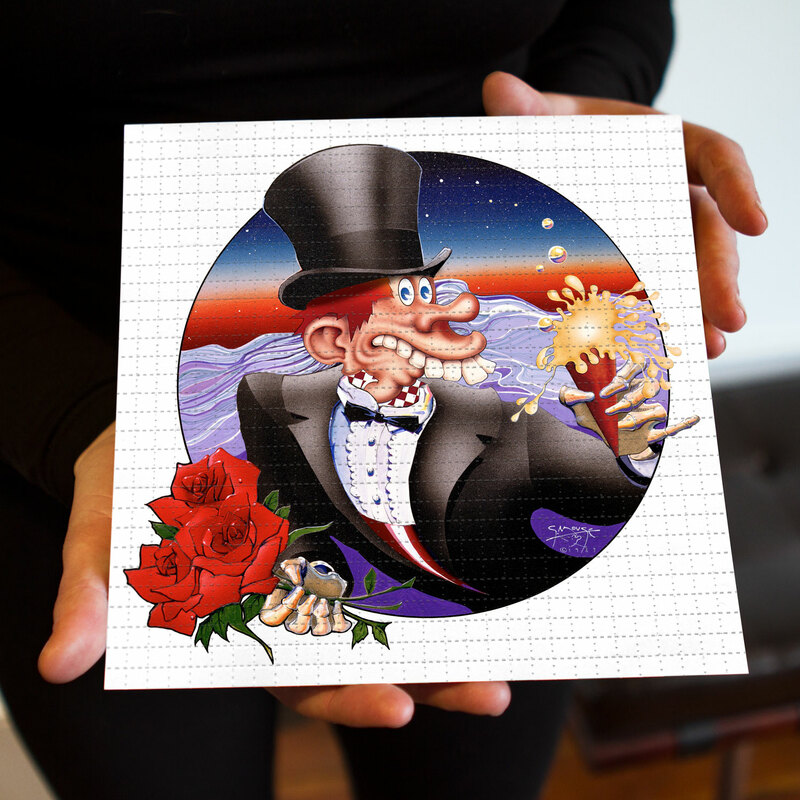 Art and music came together in images associated with the The Family Dog, Grateful Dead, Jefferson Airplane, Janis Joplin, Big Brother and the Holding Company, Steve Miller. Then on to Jimi Hendrix, Journey, The Rolling Stones, The Beatles and Blind Faith. In all, Mouse and Kelley did the first eight album covers for the Grateful Dead, including the delightful Ice Cream Kid/Rainbow Foot cover of their Europe 72 live album. The cover art for Steve Millers album Book of Dreams won a Grammy Award in 1977. Stanley’s artwork is included in private and public collections including the Oakland Museum and The Hermitage. Bonham’s of London conducted an auction where Stanley’s artwork was incredibly well received in 1998. In a local ceremony, Stanley was honored and named as the Sonoma Art Treasure in 1994. Stanley went on to explore fine art and took up classical art forms and oil painting. His landscapes and figurative works express the more subtle and finer aspects of life and round out his body of work with depth and beauty. Today some old friends have returned to Mouse’s palette: rock and roll and hot rod art and monsters. A significant revival of interest in hot rods and a new subculture is springing up around the aesthetic of the hot rod genre. Stanley Mouse is a revered elder in that tribe, lately contributing to the movement with new and classic monsters and rat-rod art. A recent show at the Marin Museum of Art featuring Stanley’s work in full-circle format made clear the scope and genius of his art. The hot rods, monsters, rock icons and lush oil paintings stand united by way of the artists creative journey and tell tales of American culture through the decades. The visual repertoire of our collective experience has been made rich and beautiful through Stanley’s art.